This is a great story to share with your world-changing kids to show them that uniting our voices to tell those in power that we don’t like what they are doing and that we want them to do better really does have the power to effect change! We really do have the power to make the world a better place. The Ottawa Catholic School Board (OCSB) recently made a decision to remove a graphic novel from the shelves of their elementary school libraries. “Drama”, a book by American author and illustrator Raina Telgemeier, has a side story where there is a scene with two middle-school boys kissing. In this article, the OCSB states that they are moving the books to “middle and high schools, where they more appropriately target 13+ students.” They said it wasn’t about “LGBTQ content”, it was about “relationship content”. But here’s the thing … it was just a kiss. How many books in the libraries of the OCSB elementary schools show a kiss between a male and female? How many fairy-tale and Disney princess stories include a kiss? Every one that I can think of. So it was not really about “relationship content”, it was about “LGBTQ content”. By taking this decision, any child in the OCSB who already identifies as LGBTQ, or who is trying to figure out how they identify and who they really are, just received the message that they are not accepted at their school. They just received the message that a kiss between a girl and a boy is totally acceptable to see at any age, but a kiss between two boys is not appropriate. 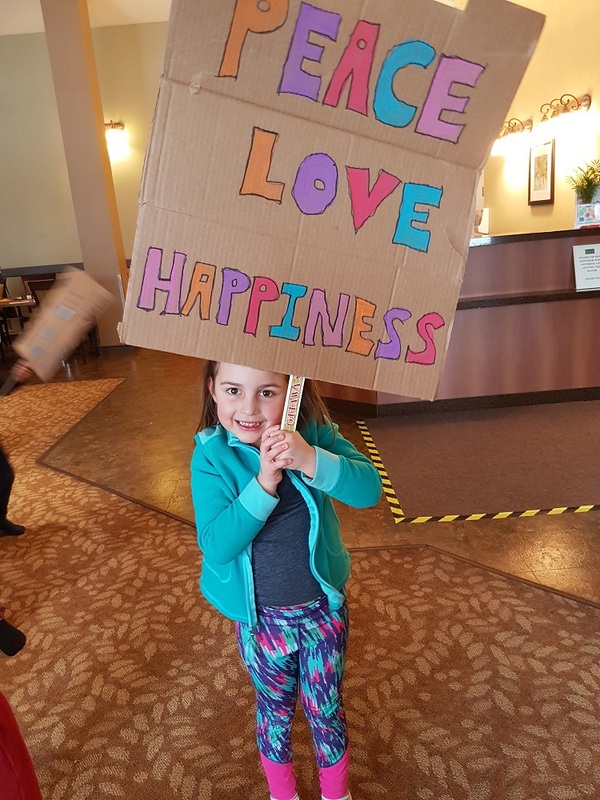 This decision just ensured that they do not feel safe, supported and loved at school – a place where feeling safe, supported and loved is super important if our children are going to learn to their fullest potential and grow up to be the best versions of themselves. But there is good news. People in Ottawa immediately spoke out against this decision. People in Ottawa immediately spoke up in kindness and love. Which led me to tag my school council and ask if we could do the same. And then another awesome friend, Tina, said she was going to be at our school council meeting that night and would bring this up. Then Tina updated me halfway through the meeting and said that a message is being sent to the librarian to request some extra copies! Amazing. This is how we do it. This is how we make sure that all of our children feel safe, supported and loved. This is how we help all the children in our communities grow up to be the best version of themselves. This is why we teach our children how to be engaged, active citizens and leaders. This is how we change to world for the better. Let’s do more of this.